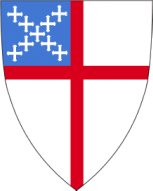 ​The ECW (Episcopal Church Women) holds its regular (business) meeting on the second Thursday of each month at 11 a.m. in the Guild Room, with a carry-in luncheon at 12 noon. A guest speaker or special program usually follows lunch. All women in our parish are members and are welcome. All other Thursdays we hold an informal meeting in the Guild Room. We do not meet during July and August. The 2016 year started with our monthly business meeting being held at the home of Sue Shackford. What a treat for all of us to enjoy her splendid Christmas wonderland! During the remaining monthly meetings, we continued with the work our group has become known for. We sponsor several fund-raising projects and programs to support our charitable outreach and in-reach commitments. This year, we held our Roses for Mom, A Rose for Mommy, Jeanette Koncz's Famous Hungarian Cheese Spread sale, and our annual cookie sale in conjunction with the December chili supper. We started a new ongoing fund-raiser this year "New Underwear and Sox" for homeless men, women, and children. We delivered a large quantity of these items to a very grateful community and will continue this project throughout this next year. All of our projects have been successful and provided funds or needed items to support our commitments. We continued to support the Diocese of Connecticut ECW. We contributed funds to the White Envelope project and the United Thank Offering (UTO). Both of these programs support state and national projects through grants. Many of our members, along with Harrison, attended the annual diocesan ECW luncheon in May. This annual event always inspires us to continue our mission. We also made donations to the National Cathedral and to Guilford Social Services. Our guest speaker in April was Wendy Bellmore of Christ and the Epiphany Church, East Haven, who went to Madagascar in July with SAMS (Society of Anglican Missionary Servers), where she helped set up a clinic for women’s and children's health care. We were all very impressed with this project and made a donation to SAMS to assist them in further development of this project. We also funded a special "Secret Santa Project" to help a family in need this Christmas. We continued to support the Wounded Warriors Project and our SundaySchool, and we continue to add to the fund we started two years ago to replace our white altar hangings, which are in dire shape. We are hoping others will independently contribute to this effort. Our annual cookie sale, which is supported by our parishioners’ donations of home-baked cookies, supports our high school scholarship given to agraduating senior active at Christ Episcopal Church. This year we sold out of the cookies we received and are grateful for our parish response so that we can continue to award this scholarship. ECW created a special award this year and will continue to recognize individuals in the future who have given generously of themselves to our parish. "The Pearl of Great Price" certificateswere given to Jeanette Koncz and Gene Bishop for their many years of service and dedication to Christ Episcopal Church. We wish to thank everyone for supporting us! Thank you to all of our Christ Church parishioners and friends for your support of our two major fundraisers in 2016, the Mother's Day Roses and the Christmas Cookie Sale. The profits from these events enabled us to purchase some new toys for the nursery, provide candy for the Easter egg hunt and Halloween trunk or treat, present a $250 scholarship to a Christ Church graduating high school senior, and provide a secret Santa gift to a family in need during the holidays. In addition, collections at our monthly meetings brought in $282 for the Diocesan White Envelope Fund,which supports local and national outreach programs. The end-of-year balance in our checking account was $2,122.88, and the balance in our savings account was $1,170.42.